The birthing process is hard for both mom and baby. In the first three years of life, children have more neurological development than they will in the rest of their lives! From the start, we can make sure your child’s spine is properly aligned, giving their nervous system the freedom to operate at its highest level. With regular chiropractic care, your child has the best chance to be happier, smarter and overall healthier! In fact, we recently saw a pediatric patient who had a fever. Within 30 minutes of an adjustment, the body’s natural healing abilities took over, and the fever was gone! Another of our young patients was afflicted with 12 ear infections in just the first 10 months of life. The doctors recommended putting tubes in the infant’s ears. The side effects of such a procedure include scar tissue buildup and hearing loss. The parents brought their child in to see Dr Craig. After three adjustments, the ear infections were gone! This little boy is now three years old and hasn’t had an ear infection since. Your child’s first appointment is similar to that of an adult patient, but we usually won’t take X-rays. An examination and consultation will determine what your child’s needs are. On the second day, we’ll go over X-rays if they were taken and determine what kind of care they need, if any. From the second visit on, each appointment will consist of a chiropractic adjustment. Dr Craig enjoys getting to know our young patients and will make sure they understand what’s happening before beginning. We’ll discuss their adjustment at a level they can understand. Most of our pediatric patients have been seeing us since they were born, and they’ll come in telling Dr Craig where it hurts or where they want her to adjust. Chiropractic care is for more than just back pain and headaches. Your child can use chiropractic care from the day they’re born to their advantage by allowing their nervous system to work at its highest ability. When the nervous system functions well, the body has the ability to heal itself! Only low-force techniques are used on our youngest patients. Dr Craig enjoys helping expectant mothers to have a successful pregnancy. Chiropractic helps your body adapt to the changes it experiences as your baby grows. Chiropractic care protects your health and decreases labor time and possible complications. It is extremely safe for pregnant women to receive adjustments. Chiropractic can do more than just help with labor and delivery. Babies in breech position can be turned, and your risks during delivery are decreased. Why? Because we’re allowing your body to have the freedom to heal itself by removing nerve interference from the spine. Free from interference, your body can focus on your overall health instead of concentrating on specific areas of problem. Your growing baby can reap the benefits of you receiving chiropractic care during your pregnancy. Birth is traumatic, especially if you have a cesarean section. 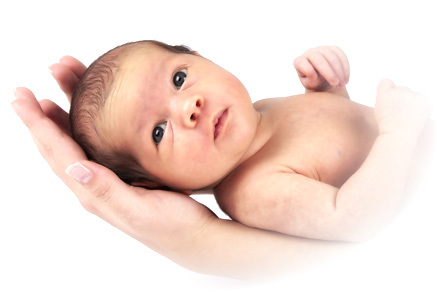 By decreasing the time of the birthing process, your baby is safer during delivery. Once born, babies should be adjusted because they’re unable to tell us if they’re in pain. Chiropractic can also help you breastfeed successfully. Your baby will be able to thrive! On your first visit, we’ll do a consultation and examination, but we won’t take any X-rays. We’ll discuss what you’re looking for, and Dr Craig will recommend a course of physical therapy, and chiropractic adjustments appropriate for you. The frequency of pregnancy care varies by patient. You may see us once per week, or more often if you’re in pain. Your adjustments will accommodate your growing body. Similar techniques will be used, but we’ll place you in comfortable positions. Dr Craig’s expertise in the Palmer Package of chiropractic techniques gives her several methods to accommodate your needs. Dr Craig has adjusted hundreds of babies and expectant mothers. Benefit from her experience by scheduling your appointment today!